With the kit, you'll receive the revolutionary Vaporesso Revenger X 220W TC Box Mod, the Vaporesso NRG Sub-Ohm Tank, GT8 and GT4 coils, replacement glass and a USB cable. 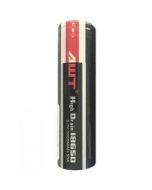 Two 18650 batteries are required for operation and must be purchased separately. Welcome to the future of vaping. The Vaporesso Revenger X 220W TC Starter Kit with NRG Tank has a cool, futuristic look that will make you the envy of your fellow vaping enthusiasts and is highly customizable to take your sessions to a whole new level. The Vaporesso Revenger X 220W TC Box Mod features the OMNI Board 2.2 chipset, the latest innovation from Vaporesso. 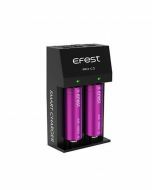 With its sophisticated design, the chipset provides instantaneous response and incredible versatility, making the box mod ideal for experienced vaping enthusiasts. Going beyond the simple two-function design, the Vaporesso Revenger X 220W TC Box Mod gives you a wide range of vaping options. Smart Variable Wattage Mode lets you chase clouds with a massive power output of up to 220 watts. In Temperature Control mode, you can set the vape from 200 to 600 degrees Fahrenheit to bring out the full flavor of your vapor. Customized Curve of Wattage and Customized Curve of Temperature modes allow you to create your own custom program to alter performance during your sessions. The vape even features bypass mode for mechanical mod-style performance. The multitude of modes combines with an array of core options, giving you full control over your vaping experience. Although the Vaporesso Revenger X 220W TC Box Mod offers a wealth of vaping possibilities, the unit is very simple to use. The .96 OLED screen is easy to read, and you can adjust the brightness to suit your needs. 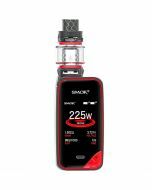 Capacitive touch screen buttons simplify setting, and the vape vibrates to help you monitor performance. A large clicky firing button makes it easy to take quick hits on the go. With the Vaporesso Revenger X 220W TC Box Mod, you'll receive the innovative Vaporesso NRG Sub-Ohm Tank. Its Pyrex tank can hold up to 5 milliliters of e-juice and maintains the full flavor of your vapor. Heating insulation on the bottom of the tank keeps the outside of the unit cool to the touch for comfortable vaping hit after hit. Refilling the Vaporesso NRG Sub-Ohm Tank is incredibly simple. Just slide the top cap and mouthpiece out of the way and drip into the slot. Once you slide the tank closed, you won't have to worry about leaks. Take full control of your vaping experience with the box mod that offers features not found in conventional units. 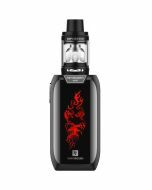 Order the Vaporesso Revenger X 220W TC Starter Kit with NRG Tank today.